Rabalais has been teaching at the College of William and Mary since 2015 and was hired immediately following graduate school. He is currently on research leave until January of next year. After receiving a bachelor’s in music theory/composition and guitar performance from the University of Louisiana at Lafayette, Rabalais continued to study music, this time at the University of Strasbourg in France. He went back to Louisiana to obtain a master’s in French, followed by his doctorate in French studies from Tulane University. Rabalais also holds a Ph.D. in langues et littératures from the Université de Poitiers. His primary area of study is the diverse literatures, cultures and languages of Francophone North America, including regions such as French and Creole Louisiana, Acadia and Quebec. He also explores the related folklore and orality, but more specifically, the interaction between a community’s language and the identity that stems from that linguistic heritage. 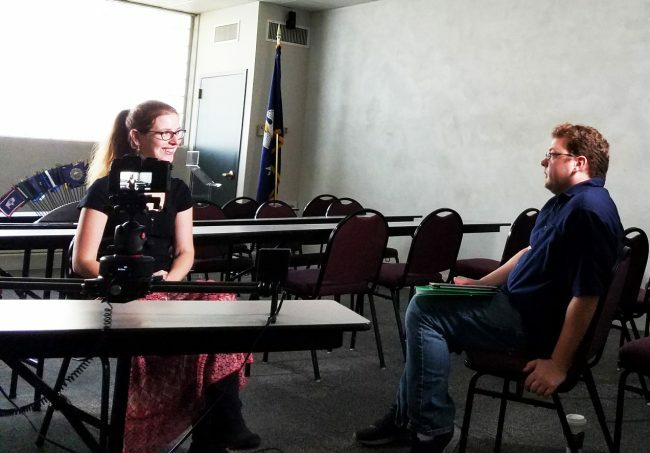 Rabalais, with the help of his brother, David, directed a documentary highlighting the origin and evolution of the Cajun identity in North America, titled “Finding Cajun.” One of his goals with the documentary was to move away from the myths that surround the Cajun identity and history. “I wanted people, especially my own community in Louisiana, to hear these ideas because it’s kind of dismantling a lot of myths about identity and where this culture came from,” Rabalais said. “It’s been kind of distilled into one group that came to Louisiana a long time ago, the Acadians, when the British deported them from the original colony. That’s kind of been like the origin myth of Cajun culture, is that one group, when there’s a lot more to it. Rabalais said that recognizing different aspects of Cajun culture in his documentary would help make his work more accessible to viewers. While the film received a portion of its funding from his research fund, Rabalais and his brother had to cover a significant portion of the film’s expenses. According to Rabalais, most of the money went toward traveling to Canada, where over half of the film was shot. While most directors outsource tasks like editing the final product and creating music, the Rabalais brothers were responsible for all the post-production steps. Their hard work paid off — “Finding Cajun” won an award at Cinema on the Bayou, a film festival in Lafayette, Louisiana, just days after being released. Apart from interacting with those being interviewed for the film, Rabalais greatly enjoyed the finishing touches: the music. Just a year prior to the release of the documentary, Rabalais completed a collection of original poetry titled “Le Hantage,” which was published by Les Éditions Tintamarre in 2018. While on leave, Rabalais is working on a new book. This time, he is compiling research on Louisiana folklore. Looking forward, Rabalais is interested in creating another documentary.